Asphalt 6: Adrenaline - the successor to the Asphalt 5 racing game will be hitting the iPhone in December, with an iPad release scheduled shortly thereafter. The iPhone/iPad game will feature over 40 licensed vehicles to race with. List of licensed vehicles follows after the jump. 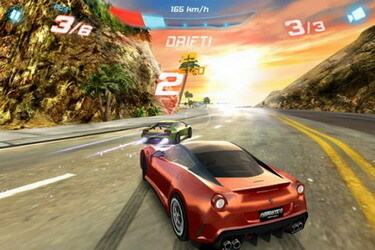 0 comments on "Asphalt 6: Adrenaline coming to iPhone and iPad"